Passing through the narrow path of magnetic barriers, we emerge on one of many small balconies peppering the walls of a tall vertical shaft. 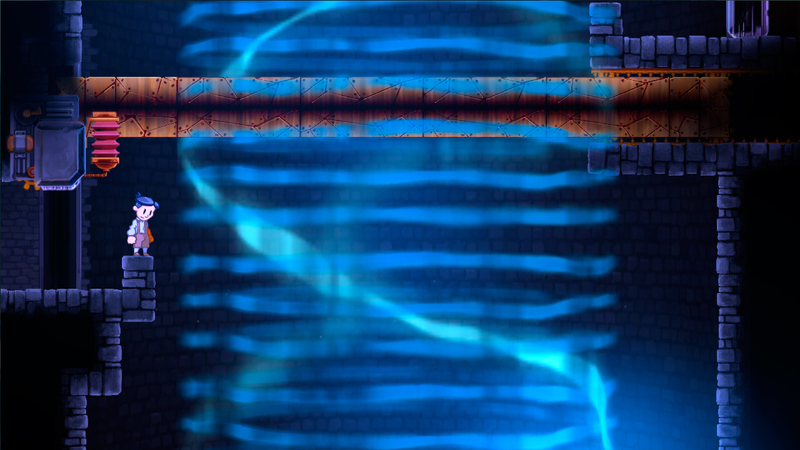 The entire area is bathed in an a clear blue tint, emanating from a large electromagnetic device at the bottom of the shaft. 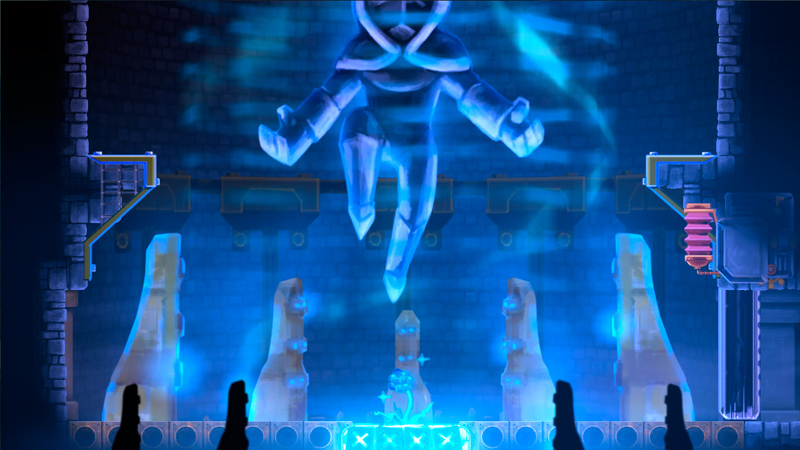 A statue displaying the hallmarks of the Teslamancer order is floating in mid air, hinting at the power of their ancient artifacts. We chance a leap to the bottom, miraculously taking no damage from the fall. A strange flower grows in the cracks between the metallic plating on the floor, small currents running through it’s orblike petals. We touch the flower and are immediately propelled through the air, charged with the same polarity as the floor itself. Equal polarities repel, opposites attract. Unfortunately, a massive barrier stops us from exploring further up, so we set our sights on a doorway at the bottom of the shaft, hydraulics springing into action and lifting the heavy metal door as we approach it. Entering the bottom doorway, we realize that the tower’s foundations interweave with a naturally occurring cave system, rickety dungeon walls built into mountain itself. On a makeshift bridge made from the tower’s omnipresent magnetic boxes, we walk by an effigy carved in stone, depicting a multi-eyed monstrosity of some sort. It seems to predate any architecture we’ve come across so far. 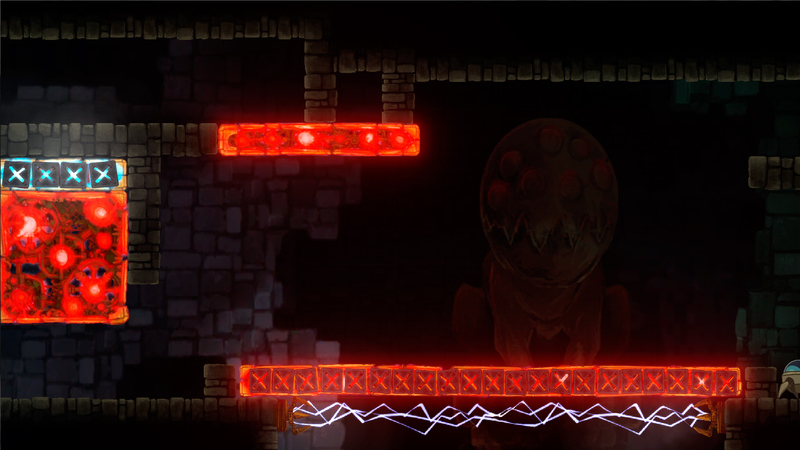 This entry was posted in art, teslagrad, The Blog by Ole Ivar Rudi. Bookmark the permalink.